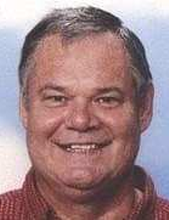 Hans W. Kleisch Sr., 69, of Evansville WI, passed away on Sunday February 3, 2019 at Agrace Hospice Care in Fitchburg WI. Hans was born in Beckum, Germany to Hans and Tillie Kleisch on January 28th, 1950. Hans’ family immigrated to America when he was two years old. Hans graduated High School in Albany WI. He married Genny Feist on November 29th, 1975 in Evansville WI. He worked at VP Buildings in Evansville and was also an auto mechanic who owned and operated MasterTech Car Care in Evansville for many years. He was a great family man who especially loved time with his grandkids. Watching them compete in wrestling was one of his favorite activities. Hans is preceded in death by his parents Hans and Tillie, as well as his oldest son Hans Jr.
Hans is survived by: his wife Genny, children: Johann Sr. (Carolyn) and Ronald, siblings: Heinz and Kathy, grandchildren: Cody, Jordan, Johann Jr., Hope, Cade, Carter, and Lena, plus one great-grandchild on the way who’s due in April. Funeral services will be held at 12:00 noon on Saturday February 9, 2019 at Ward-Hurtley Funeral Home Evansville with Reverend Matthew Poock St. John's Lutheran Church Evansville officiating. A visitation will be held from 10:00AM until the time of service on Saturday at the funeral home. The family of Hans wishes to extend our sincere thanks to all the great staff at St. Mary’s Hospital in Madison WI, Agrace Hospice Care in Fitchburg WI., Ward-Hurtley Funeral Home, St. John’s Church and Pastor Matthew Poock for all their care and assistance through this time. To plant a tree in memory of Hans Willi Kleisch, please visit our Tribute Store. "Email Address" would like to share the life celebration of Hans Willi Kleisch. Click on the "link" to go to share a favorite memory or leave a condolence message for the family.